My nephew's 3rd birthday party was yesterday and it was such a blast! I loved seeing all of his friends run around and play together. 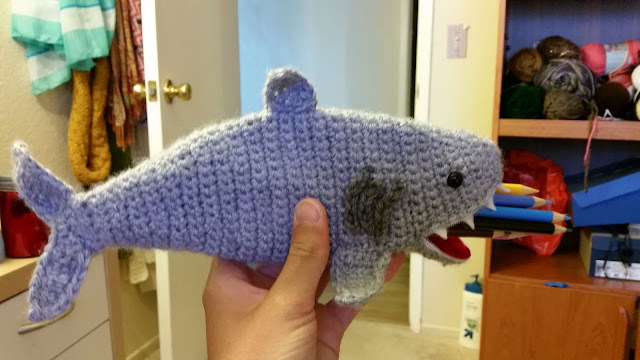 Since he's starting school, I wanted to make him something that he can use that has a special personal touch. 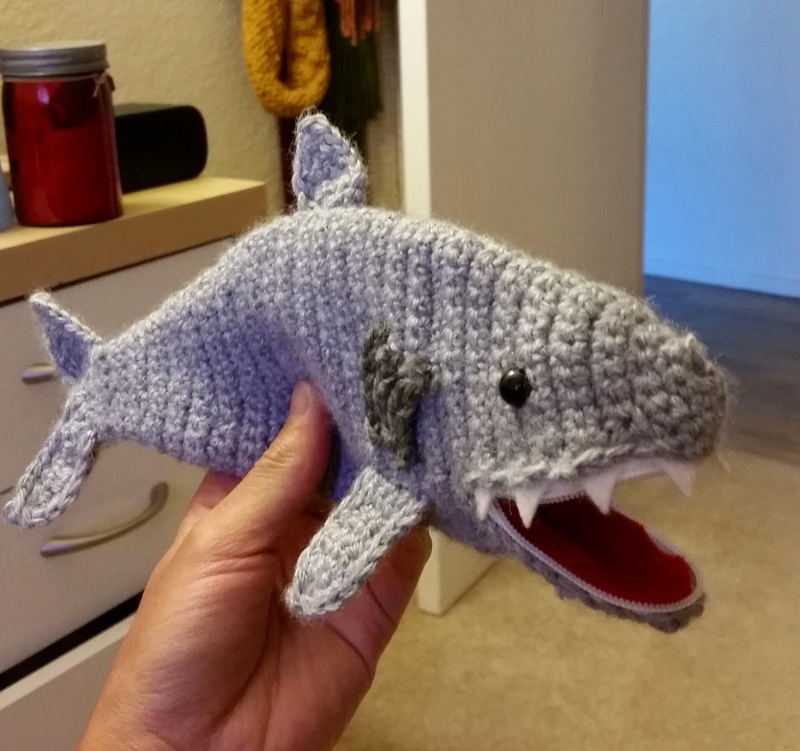 Moogly has an adorable shark pouch pattern that I thought was perfect for Connor. What little boy doesn't love a shark munching on some pencils? I'm sure his school mates will love it too! I got him some fresh colored pencils and a coloring book as well. The pattern is easy to follow, and the hardest part for me was sewing on the zipper. It's something I don't really have a lot of experience with, but it was a good time to learn. I glued some red felt to the mouth to make it look more realistic, but really it was just to hide my poor sewing skills. I highly recommend this fun project! Super awesome. I have a little boy who loves dinosaurs and animals of such type. He will LOVE this. Thank you!